Recorded/performed at: Federation Concert Hall, Hobart, on 10 Sep 14. 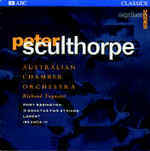 Frederick Septimus Kelly Tasmanian Symphony Orchestra, Johannes Fritzsch 9 mins, 10 sec. Also includes: The lark ascending / Vaughan Williams -- Mars, the bringer of war, from 'The Planets' / Holst -- The lads in their hundreds, from 'A Shropshire lad' / Butterworth -- In Flanders / Gurney -- Severn meadows / Gurney -- Symphony in G minor: II. Lento / Moeran -- Trois beaux oiseaux du Paradis / Ravel -- The tombeau de Couperin: III. Forlane / Ravel -- Berceuse heroique / Debussy -- Page d'album: Piece pour le vetement be blesse / Debussy -- Noel des enfants qui n'ont plus de maisons / Debussy -- Lament / Bridge -- Cello concerto in E minor: I. Adagio, Moderato / Elgar -- A pastoral symphony: IV. Lento, Moderato maestoso / Vaughan Williams. As World War I unleashed its horrors, composers responded from the heart - reaching deep into music's raw emotions and quiet beauty to find a new language of grief, sorrow, comfort and hope. To commemorate the 100th anniversary of the Gallipoli landings, ABC Classics releases a 2-CD collection of some of the most profound and moving music of this period. 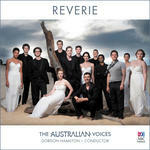 At the heart of the album stands the world-premiere recording of Australian composer F.S. Kelly's Elegy - In memoriam Rupert Brooke, sketched behind the lines at Gallipoli in 1915. Born in Sydney, Kelly moved to England at the age of 12 and - a natural sportsman - won a Gold Medal for England in rowing at the 1908 London Olympics. Kelly was a close friend of the famous English poet Rupert Brooke ("If I should die, think only this of me; / That there's some corner of a foreign field / That is forever England"), and began to write his Elegy immediately after Brooke's death in 1915. Kelly was himself killed at the Battle of the Somme a year later. 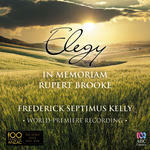 Collected alongside Kelly's Elegy are works written by English and French composers affected by the war, from the gloriously pastoral The Lark Ascending by Vaughan Williams, written shortly before the war, to Frank Bridge's Lament, inspired by the death of a nine-year-old girl called Catherine who died when the RMS Lusitania was torpedoed by a German U-Boat. Familiar classics such as Elgar's Cello Concerto as well as little-known masterpieces including Butterworth's The Lads in Their Hundreds and Debussy's Carol of the Homeless Children complete the album. 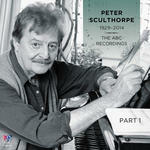 The AMC library reference copy CD includes programme notes and biographical information about composers. 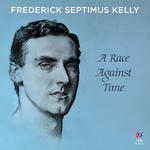 CD: A Race Against Time / Frederick Septimus Kelly.